Ultra Racing Team’s David Laney on his way to winning the 2019 Rocky Raccoon 100 Miler (Texas). Chose one of our 5 Transparent Lid Colors or by the pack. 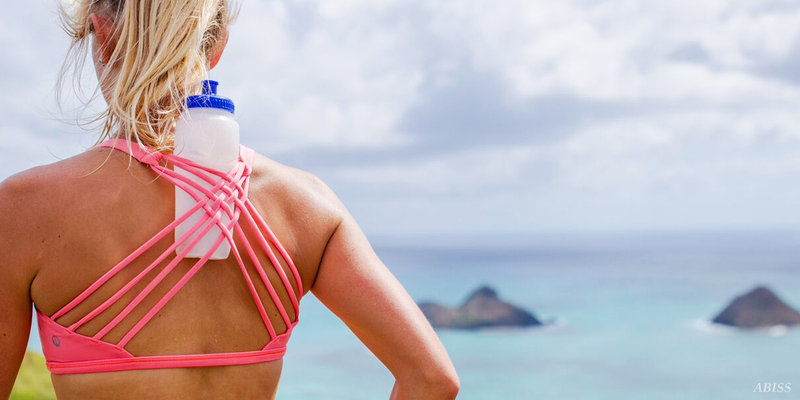 Women can hook the Simple Hydration Bottle in their sports top. 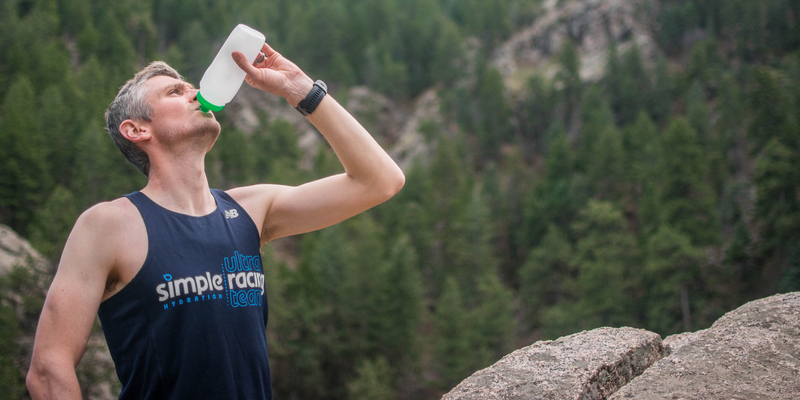 We’ve made it simple for runners to stay hydrated on the run. Slides into a waistband or race belt. I love love love the Simple Hydration Bottle. This thing is awesome!! Tucks right into the back of a sports bra, doesn’t move an inch, and feels like nothing’s there. When people start running there should be a welcome package that includes this bottle – it is really that awesome! These bottles are a game changer! I absolutely love your hydration bottles! 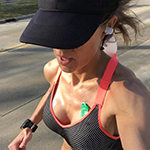 When I found the Simple Hydration Bottle it so vastly improved the way I feel while running, I’ll never ever use anything else. It slides right into my belt, and stays put the whole run. I tell everyone, not just my running friends, about this amazing product so if you haven’t tried it, TRUST ME! It’s so worth it! 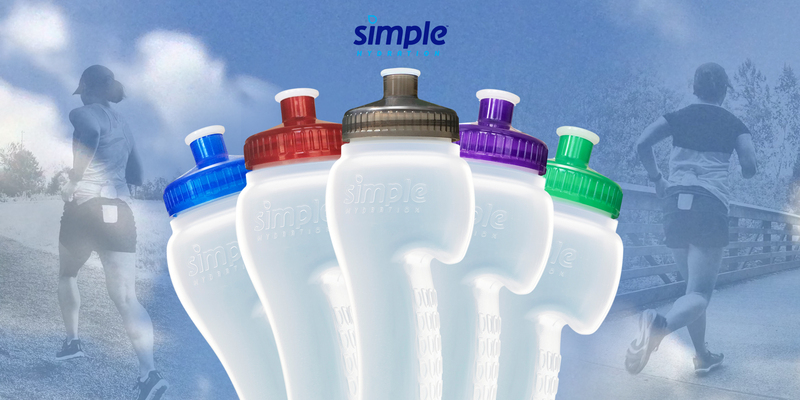 Thank you Simple Hydration for making the best bottle on the market. 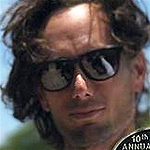 John Eruel is a member of the 2019 Simple Hydration Run Team and an electronic engineer with a semiconductor company. 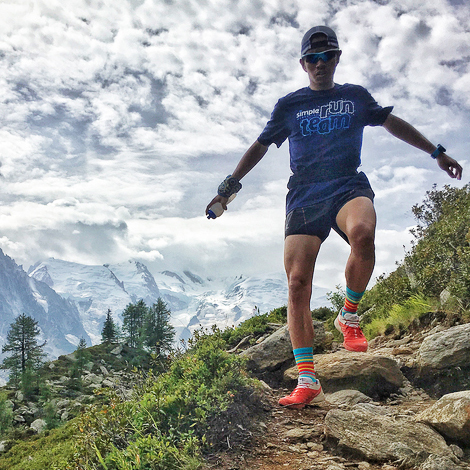 While he is relatively new to running (started in 2013) he has excelled at trail and mountain running. 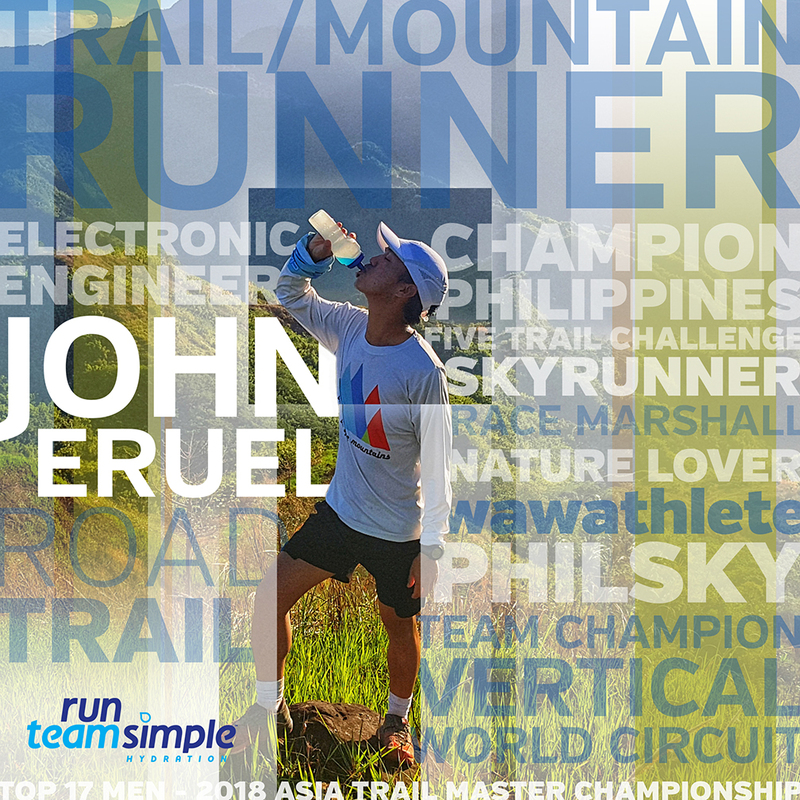 John finished 17th among men at the 2018 Asia Trail Master Championship. You can follow John on Instagram (@johneruel21) or Facebook. 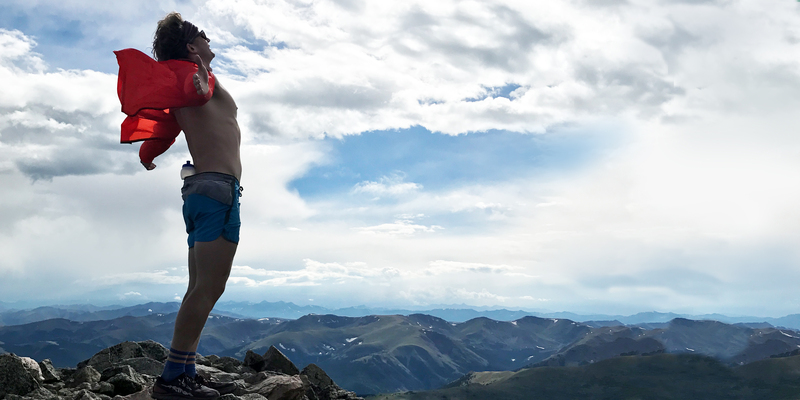 Keep pushing John and we know you’ll reach even higher goals that you set for yourself. 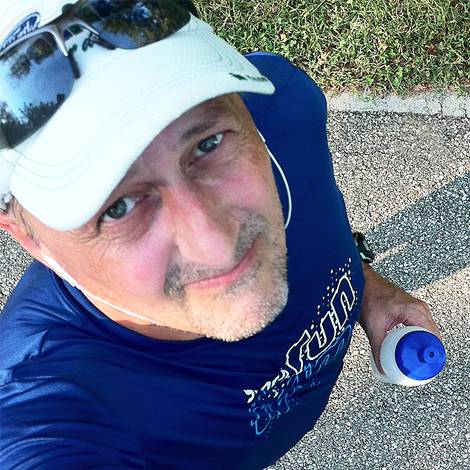 John is our fourth 2019 Simple Hydration Run Team profile post. We will continue to do profile posts of Run Team members each week going forward. 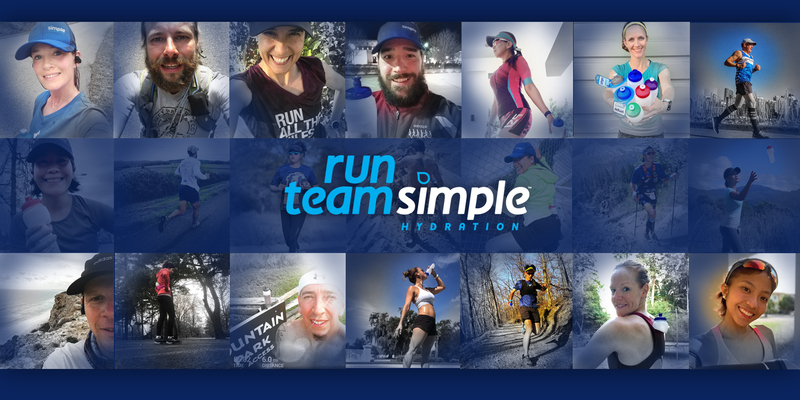 We love our Run Team members and are blessed to have them on our team and supporting Simple Hydration. 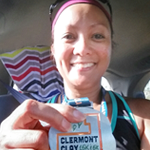 They are fans of the Simple Hydration Bottle just like many of the runners and triathletes that follow us. We thank them and you for the Simple Hydration Love. Email us to see if there is a retailer near you in the USA. 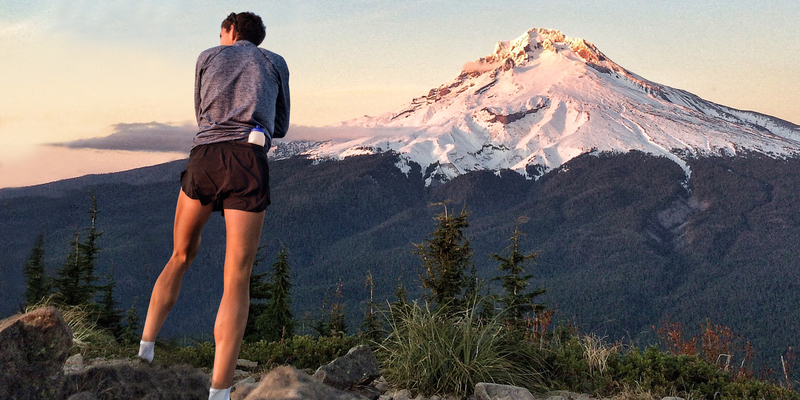 The Simple Hydration Ultra Racing Team is comprised of elite runners that compete in many top races around the world. 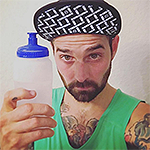 They are selected by us and all of them use the Simple Hydration Bottle in training and racing. Chances are you’ll recognize some of the names. We also have brand ambassadors that apply and are selected to a fun Simple Hydration Run Team that we sponsor each year. 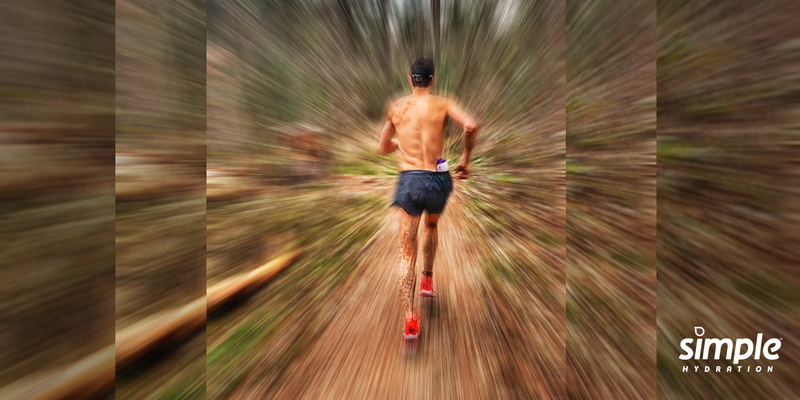 Runners typically apply in December of each year and the new team is announced early the following year. Each team showcases a variety or runners from all over the world. If you’re a fan then be sure to submit your application when requested. 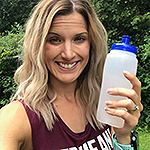 If you’ve made it this far then you’re ready to break out of your run hydration habit (clunky belt or hand held bottle). 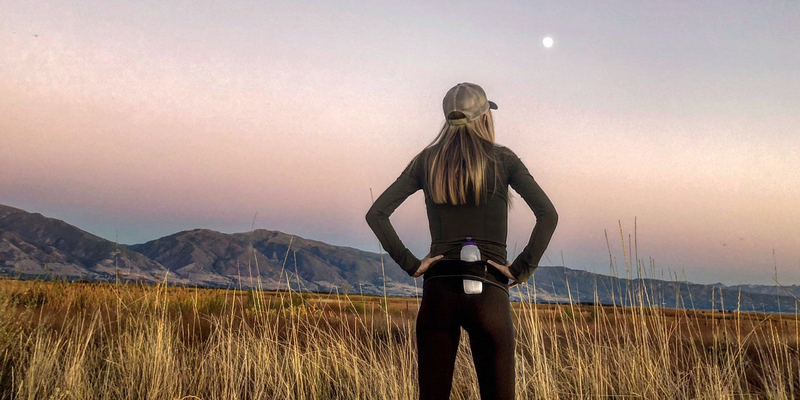 I love to see the transformation of runners that buy a Simple Hydration Bottle one day and come back the next at a race expo or even on social media and tell us “it really works!” But you’ve probably already read some of our wonderful testimonials at the top of this page. 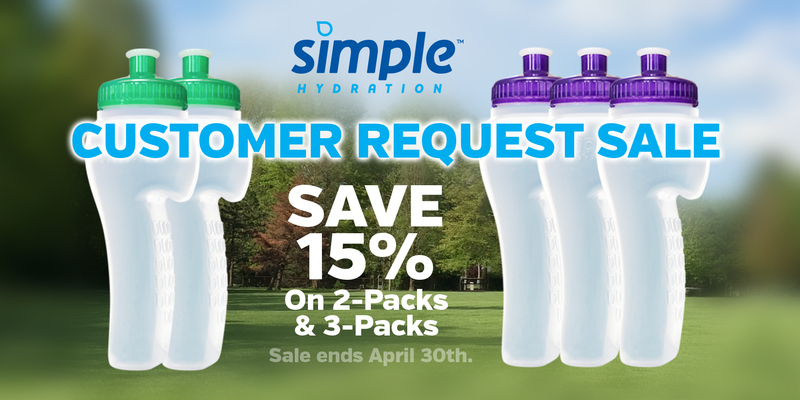 Read more about Simple Hydration or go buy a bottle and Run Simple. I look forward to hearing from you soon.